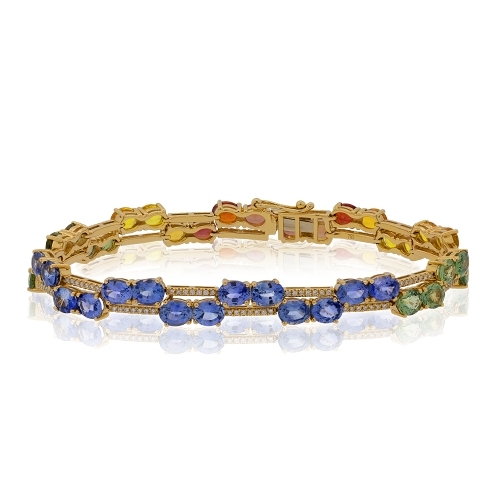 18k yellow gold colored sapphires and diamond bracelet. Diamonds approx. .40ct. Bracelet 7"